Darlene Lois Boughman was born December 10, 1934, the youngest child and only daughter of Henry and Minnie (Harms) Baucke. 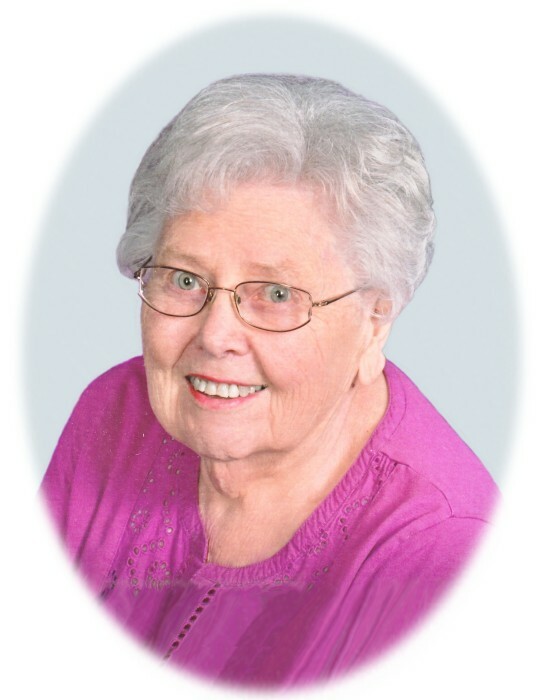 She passed away April 6, 2019 at Harmony Home Assisted Living Center in Yuma, Colorado after struggling for several years with Alzheimer’s type dementia. Darlene spent her childhood years on the family farm with her parents and three older brothers, Edwin, Harlan and Elmer. They were fortunate to live in a farm house which was very modern for the day, with running water, carbide lights, an indoor bathroom, and a coal furnace. Darlene adored her older brothers and had many fond memories of life on the farm. The friends that she made while growing up in the rural community north of Yuma remained with her throughout her life. The family moved to town in 1947 and settled into the rhythm of life as town folk. 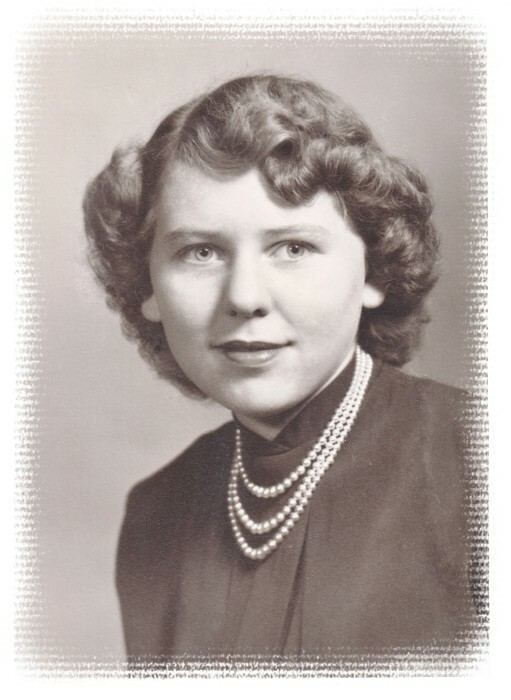 After a year or two in the public school, Darlene attended the Lutheran Day School through the eighth grade and graduated from Yuma Union High School in 1952. She then went on to attend business school in Denver for a year. Upon returning to Yuma she met Vern Boughman in 1953 and they were married May 9, 1954, at St. John’s Lutheran Church. The couple purchased “Liston’s Donut Shop” located on Highway 34 in February, 1956. The first day of business they sold nine dollars worth of donuts and wondered if they had made a wise decision. They found they loved the bakery business, though, and worked long hours to make it a success and soon were able to move to a larger location on East Third Avenue. Their son Donald Lee was born in 1958 and daughter Valerie Lane in 1960. The Donut Shop was a true family business with Vern and Darlene working side by side to make the delicious donuts, pastries, and cakes while the kids pitched in by folding boxes, washing dishes, taking out the trash and various other chores. When one of the kids grew tired, they simply fixed up a makeshift bed on a hundred pound sack of flour, and sent them off to sleep. While Vern was the boss in the back of the shop, Darlene truly presided over the front of the business, priding herself in providing exemplary customer service. As the years went by and the business grew, Don and Val became more involved in the baking and operation of the business. In 1979, after it became evident that son Don had an interest in remaining in the family business, the bakery made another move, this time to Main Street, where the business doubled overnight, and became “Boughman’s Bakery”. The bakery was a huge part of Darlene’s life, and she was proud of the quality of the products it produced. She enjoyed interacting with all the customers, and many of them would tease and joke with her. When she retired, she was proud to say that she had been in the bakery business for forty years, and often reminisced about the fun times she and the family had there. Darlene loved God and she was a faithful member of the Lutheran Church her entire life. She was baptized and confirmed at St. John’s Lutheran Church and had many wonderful friendships through the church. She and Vern became very close with Charlie and Donna Alspaugh, Gene and Sue Krinn, two of the pastors who served at St. John’s and Bruce Hegan, pastor of New Hope Lutheran Church. She thoroughly enjoyed attending worship service and especially loved to sing the old familiar hymns. She was a faithful member of the choir and the Mary Martha Guild for many years. She loved and was devoted to her family, especially her two children, Don and Val. She would faithfully take them to dance practice when they were young, and preside over their practices. When they performed she would sit in the front row, beaming. The family enjoyed decorating their home and entering the community Christmas Lighting Competition for many years. They won the contest year after year, and eventually turned the lights off during the competition so other families could enjoy winning the prize. The family enjoyed travel and tried to take a vacation every other year. Darlene was able to say that she had visited all the states except sixteen during her lifetime. When the kids were grown she enjoyed watching their Tae Kwon Do practices and testings, and also went to many of the grandchildren’s functions and sporting events, always as proud as can be of her children and grandchildren. The entire family was devastated when Vern passed away unexpectedly on Thanksgiving Day, November 26, 1987, at the age of 57, leaving Darlene a widow. Shortly thereafter son Don took over the bakery and Darlene worked for him off and on until 2000 when she retired. She kept active with several part time jobs and enjoyed being involved in the Progressive Women’s Club, as well as the Home Betterment Club, a small club made up of friends from the community north of town where she grew up. She did some traveling going to Hawaii, Canada, the East Coast and visiting friends in Alaska. She was able to make two trips to New Zealand to visit Don and family. In more recent years she was blessed to be able to enjoy six wonderful great grandchildren, eagerly awaiting pictures and video chats with them and always having a sweet smile for them, even when she was struggling with her health. Family was very important to Darlene. She enjoyed being friends with all her sisters-in-law and loved to see her many nieces and nephews. She was especially blessed to attend the Baucke Family Reunion in June, 2018, where her entire family was gathered around her greeting her with love and affection. Darlene is preceeded in death by her parents, Henry and Minnie Baucke; husband Vern Boughman; brothers Ed and wife, Adeline; Harlan and wife, Roylynn; and Elmer; and brother-in-law Verl Boughman. She is survived by her son Don Boughman and wife Mientjie of Auckland, NZ, granddaughter Brittni Barroga and husband Joe, great grandchildren Josh, Eli, and Bryleigh of Omaru, NZ; daughter Valerie Boughman of Yuma, CO, grandson Nate Pletcher and wife Holli, and great granddaughter Sophie of Greeley, CO, granddaughter Emily Pletcher, and great grandsons Logan and Jackson Calderwood of Logan, UT. She is also survived by brother-in-law Jim Boughman and wife Chris of Loveland, CO, sisters-in-law Shirley Boughman and Lillian Baucke, both of Yuma, CO, along with her many nieces, nephews, relatives and friends. 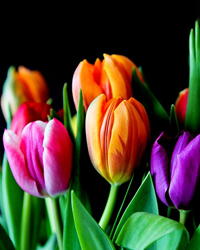 A funeral service was held on April 13, 2019 at 10:00 A.M. at the St. John Lutheran Church in Yuma, Colorado. Interment followed the service at the Yuma Cemetery in Yuma, Colorado and Pastor Dennis Fitzpatrick officiated the service. Baucke Funeral Home directed the service.